Importer: Hewlett-Packard Company, of Palo Alto, Calif.
Incidents/Injuries: HP has received one report of a camera catching fire, damaging the camera and its docking station, and causing minor smoke damage to the room. No injuries have been reported. 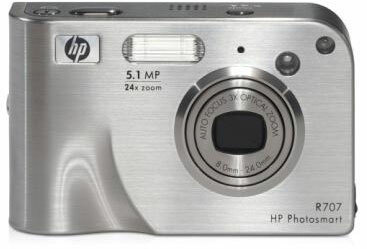 Description: This recall involves the HP Photosmart R707 digital camera. The HP logo and the model name and number are printed on the front of the camera. Sold at: Electronic, computer and camera stores, as well as Web retailers nationwide from August 2004 through April 2006 for between $250 and $400. Remedy: Consumers should stop using the recalled cameras and contact HP as they have developed a firmware update that prevents the camera from applying a charge to a non-rechargeable battery. Consumers can download this update at www.hp.com or contact HP directly. Do not use single-use, non-rechargeable batteries until the firmware has been updated. Consumers are encouraged to update the firmware even if they do not use or intend to use a non-rechargeable battery. Consumer Contact: For additional information, visit HP’s Web site at www.hp.com or call HP toll-free at (866) 304-7117 between 6 a.m. and 6 p.m. MT Monday through Friday. Distributor: Applica Consumer Products Inc., of Miramar, Fla. Hazard: The coffeemaker may not turn off as programmed, causing the unit to overheat and melt, and posing a risk of fire and burn injury. Incidents/Injuries: Applica has received 14 reports of the coffeemakers overheating. This resulted in one report of a minor burn, and 12 reports of minor property damage to kitchen cabinets, countertops and floors. Description and Models: The recalled coffeemakers make up to 8-cups of coffee and have a programmable countertop feature. 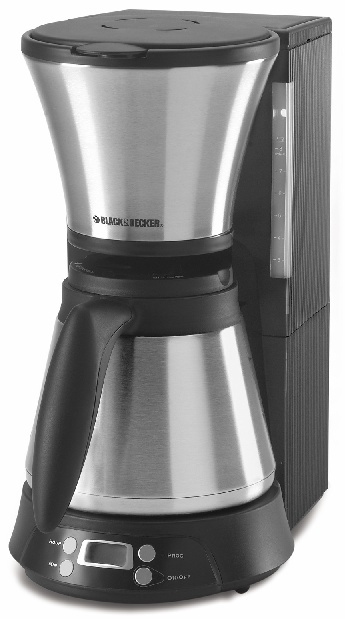 The coffeemakers are silver and black with a stainless steel carafe. Model numbers TCM800 and TCM805 are printed on the rating plate on the bottom of the coffeemaker. Sold at: Home improvement and discount department retailers nationwide from March 2004 through April 2006, for about $40. Remedy: Consumers should stop using the product immediately and contact Applica for instructions on receiving a replacement Black & Decker® Brand household product. Manufacturer: Etón Corp., of Palo Alto, Calif. Hazard: The battery in this radio can overheat and possibly rupture when using the AC adapter, posing a fire and burn hazard to consumers. Incidents/Injuries: Etón has received one report of a battery overheating. No injuries have been reported. Description: The E1XM-model AM/FM/SW/XM-ready radios that are included in the recall have serial numbers from 3,067 through 5,642. The serial number is listed underneath the flap on the back of the unit. The Etón logo is located on the bottom left-hand corner of the unit. The XM radio logo and “e1” are written in the upper right corner of the radio. The unit is silver, and measures about 13-inches wide by 7.5-inches high by 2.5-inches deep. Sold at: Electronic stores and catalog, and on-line retailers from November 2004 through February 2006 for about $500. 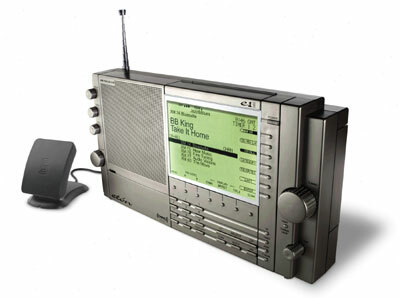 Remedy: Consumers should stop using the recalled radios immediately, and call Etón Corp. for a refund or replacement product. The U.S. Consumer Product Safety Commission announces the following recalls in voluntary cooperation with the firms listed below. Consumers should stop using recalled products immediately unless otherwise instructed. Importer and Distributor: Petters Consumer Brands, LLC, of Minnetonka, Minn. Hazard: These ranges lack an adequate heat shield, and can cause scorching of certain flooring materials directly under the appliance. Incidents/Injuries: Petters Consumer Brands has received two reports of scorched floors. No injuries or other damage has been reported. 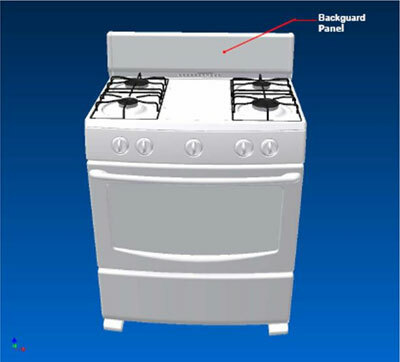 Description: The recalled Sunbeam branded gas ranges are various colors and show the Sunbeam brand name on the backguard panel. Sold by: Appliance stores nationwide from February 2006 through May 2006 for between $200 and $400. Remedy: Customers who purchased a recalled Sunbeam gas range should contact Petters Consumer Brands to confirm that their unit needs to be repaired and, if so, to schedule a free, in-home repair. Until the repair is completed, consumers should immediately stop using the oven portion of the range. Consumers can continue using the stovetop portion of the range.